The audio version of the Award Winning/Bestselling Novel that changes students lives and the bullying culture of schools. Don't Feed the Bully helps thousands of students move the bully target, build empathy, and love reading. 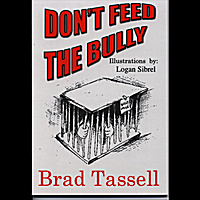 This is the audio book version, read by the author, Comedian Brad Tassell. This story is not only a hilarious hard-boiled detective novel for teens and preteen, it helps students love reading.